That said, at home, this guy tends to go for gin-based drinks, which pairs well with citrus, and other sharp ingredients, like rosemary. 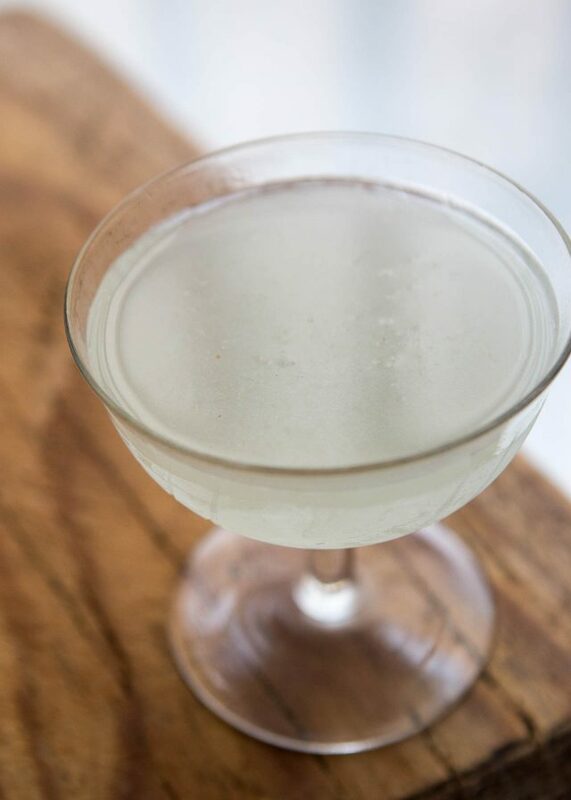 The origin of this gin-based cocktail, called The White Lady, is a little unclear. There’s a recipe for it in the iconic Savoy Cocktail Book, and it hews closely to the ingredients of a Sidecar, a cocktail with roots in France, that uses cognac, in place of the gin used here. These days, gin has crossed the channel and is now made in various places, including Scotland, the United States, and in France, too. This drink also uses dry curaçao, which isn’t the blue stuff in bottles (which is apparently making a comeback, which, for the record, I don’t support). 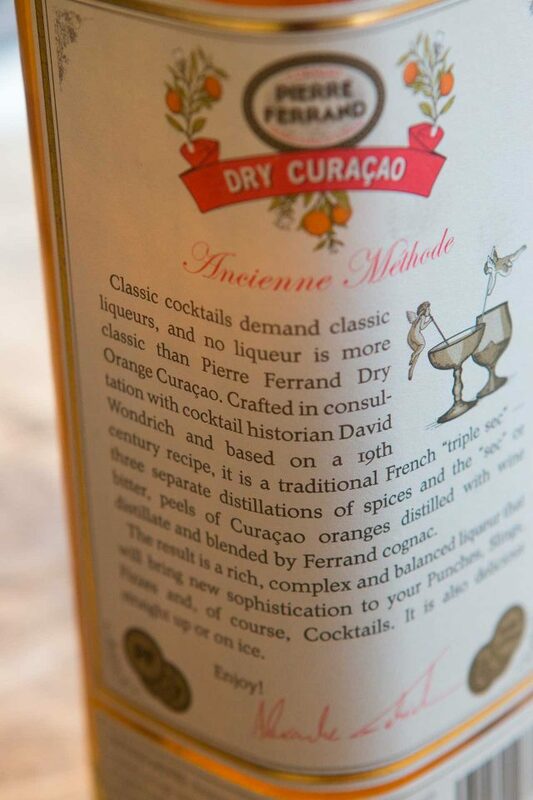 And years ago I had a devil of the time finding non-blue curaçao in Paris, but now there’s curaçao from Pierre Ferrand, a resurrection of what they say is the original way of making the orange-based liqueur. The owner of Pierre Ferrand told me the name refers to the three separate distillations of the peels and spices that go into making it, which are later blended. 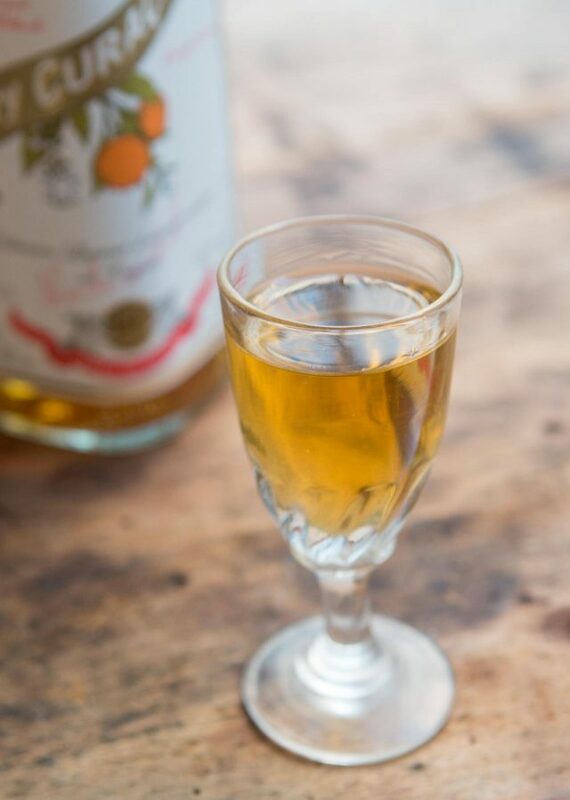 It gets its particular flavor from a bitter, green-skinned variety of oranges, called Curaçao (or Laraha) oranges, whereas most other orange-based liqueurs are made from other types of sweet or sour oranges. 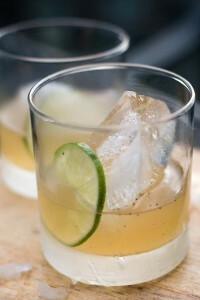 This is one of those very easy cocktails that can be made with ingredients you likely have on hand. 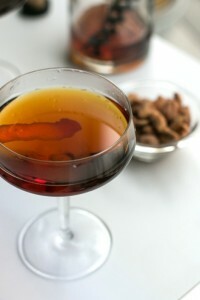 If you don’t have curaçao, another orange-flavored liqueur, such as Grand Marnier or Cointreau can be used. I’ve seen versions that are shaken with an egg white to give it a bit of froth. I’ll leave it up to you. But the coupe glass? That’s non-negotiable. Some versions of this cocktail are shaken with an egg white. To do so, add the ingredients to the shaker with an egg white and "dry shake" it without ice for 15 to 20 seconds, then fill the shaker with ice, and shake for another 15 seconds, or until very cold. This recipe is very close to what I know as a “Fine and Dandy” which uses slightly different proportions. with a garnish of lemon peel. A delicious drink that we have all summer. 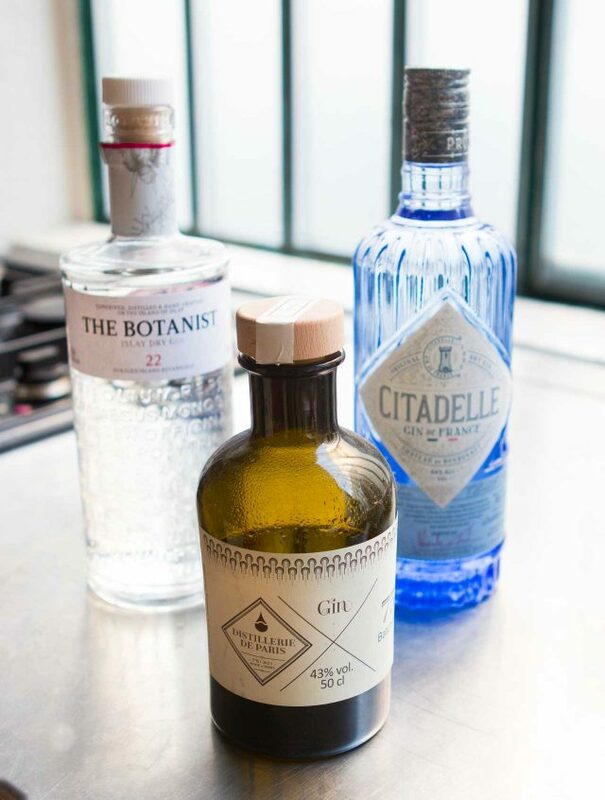 If you are looking for the best contemporary gin in the world you might have to visit the town of Sooke, located just outside of Victoria on Vancouver Island in B.C. Read the following to find out more. If you’re looking for the home of the best contemporary gin in the world, you’ll find it in Sooke. Sheringham Distillery took home the honour last night at the 2019 World Gin Awards hosted by Gin Magazine in London, England. the second is Sheringham Distillers. I am a longtime fan and reader of yours and a west coast farmer who supplies some of your old friends. Curacao refers to the island where the liqueur was originally made. I was born up the road from the “factory”, in fact a lovely old country place! Ok… so your go to gin right now? Please try some of the Australian gins. Moore’s, or Manly gin for starters, using some botanicals from our region. 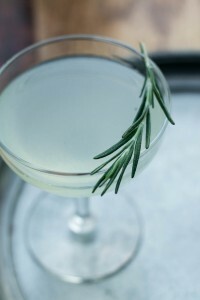 Gin is a corruption of the Dutch for juniper, the original botanical. 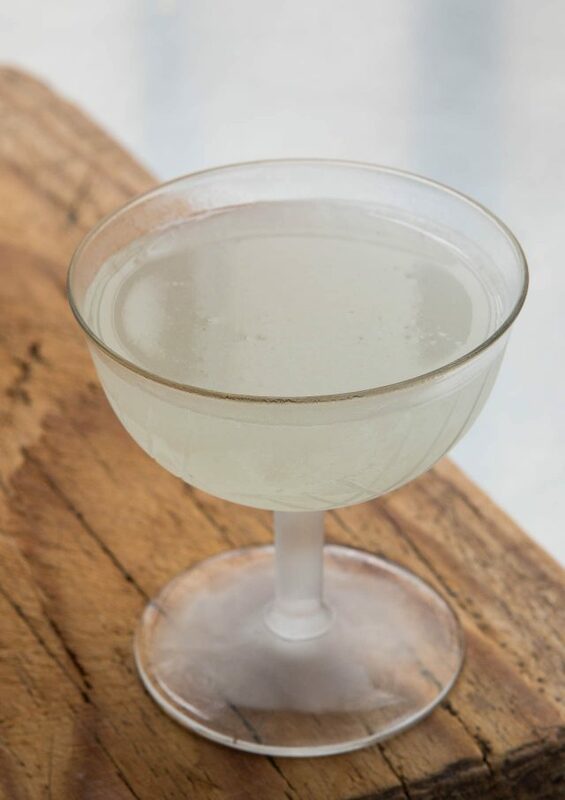 Homemade gin or bathtub gin or Mother’s ruin became a scandal in the 18thC in London, famous satirist Hoagarth, published a very famous cartoon “Gin Lane”. He contrasted it against “Beer Street”. Obviously a soul mate with Ben Johnson. With the egg white this would be similar to a pisco sour, to which I can only say yum.